You shared my life for 13 very special years. 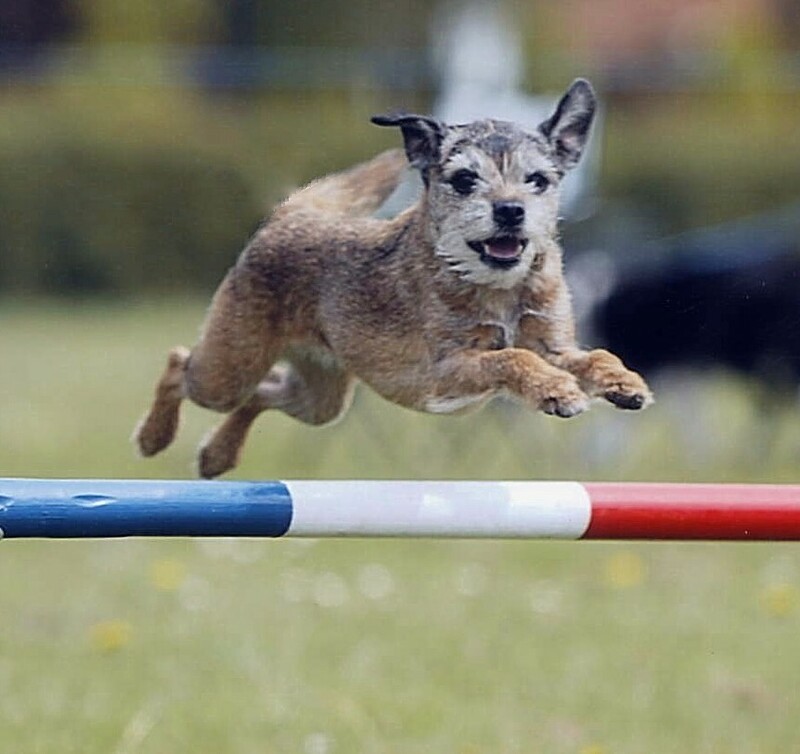 Together we travelled the country when competing at the most important thing in your life - agility, and made many, many friends. We got to Crufts on several occasions culminating on a 5th place overall in the Eukanuba Mini Challenge and gaining 3rd place in the Circular Knockout Competition Final, where you were the crowds darling, being the smallest dog in the final. How the crowd cheered, and the louder they cheered the faster you ran - you loved being at Crufts. You never knew just how little you were, and you could control even the largest dog with a lift of your eyebrow. You were taken from me well before your time, and my life is a lot emptier without you in it. We all miss you terribly, run free and play at Rainbow Bridge with your sister Bisto.